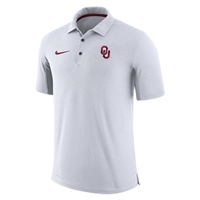 Get your official sideline gear from Nike. All your college players and coaches apparel are now available to your - their fans. From coaches polo's, tee shirts, jerseys, and pullovers, we have it all for Oklahoma Sooners and Oklahoma State Cowboys!